This will be perfect for challenged readers who are intimidated by large books. Peter's father has remarried and his twin stepbrothers are very mean to him. His dream is to go away to camp all summer. His plan is to find a girl who has been kidnapped and get the reward money. His plan leads him to an Egyptian exhibit at the museum and from there his adventure begins! Peter will do just about anything to escape being bullied by his stepbrothers and go to summer camp. Across town, Tunie and her pet bat, Perch, are working hard at the bakery and the local museum to support Tunie's ailing father. 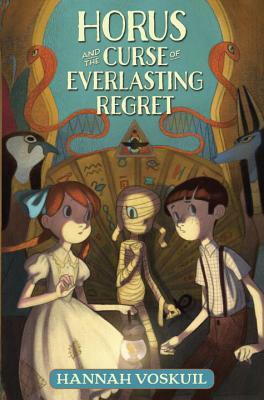 When a business tycoon's daughter is kidnapped, Peter and Tunie both decide they could do with some reward money; and after a chance meeting in the Ancient Egyptian Exhibit at the museum, they team up to solve the mystery together. Hannah Voskuil received her B.A. from Middlebury College and her M.F.A. from Emerson College. Her short fiction has appeared in various literary magazines and anthologies. She lives outside Boston with her husband and two children.